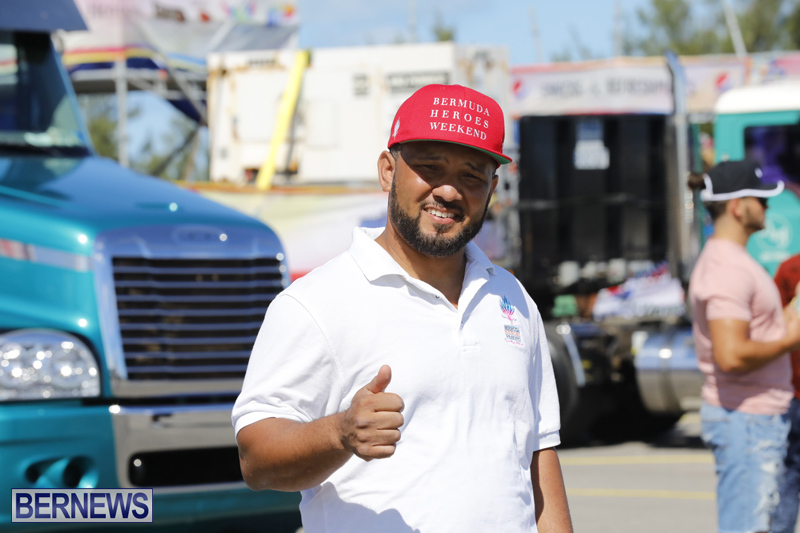 Crowds of people made their way to Clearwater today [June 18] for the Bermuda Heroes Weekend Parade of Bands; with four bands, Party People, Nova Mas International, Passion Presents Nirvana, and Code Red, all scheduled to be out on the road. 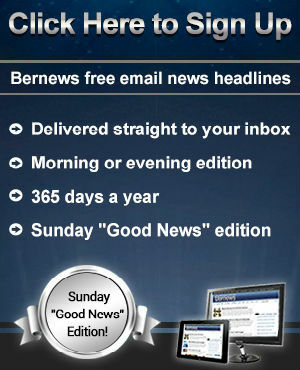 Bermuda Heroes Weekend got underway with the ‘Five Star Friday’ event on Friday [June 15], continued with the Raft Up at Shelly Bay on Saturday [June 16], the Pan In The Park yesterday, and the J’Ouvert celebration early this morning [June 18] at Bernard’s Park. 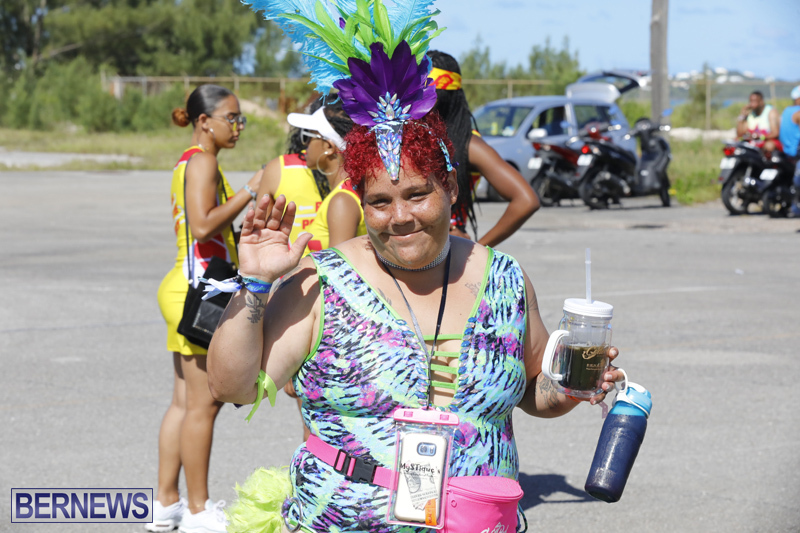 The first part of our coverage of today’s Parade of Bands is below, we will have additional coverage later on, and you can view all our coverage of the Bermuda Heroes Weekend here. Ok I’m looking at the photos and video. Where was the enthusiasm, everyone was walking slow and tired :>( Why were some people going back in the other direction AND why were the women scantily clan and the MEN dressed head to toe in T’s and shorts to their knees. On another VIP matter, know your protocol when flying FLAGS! That company who had that red flag “CADET RED” Or similar name , know this YOU NEVER FLY another flag higher than the country’s flag. It is also a LAW. 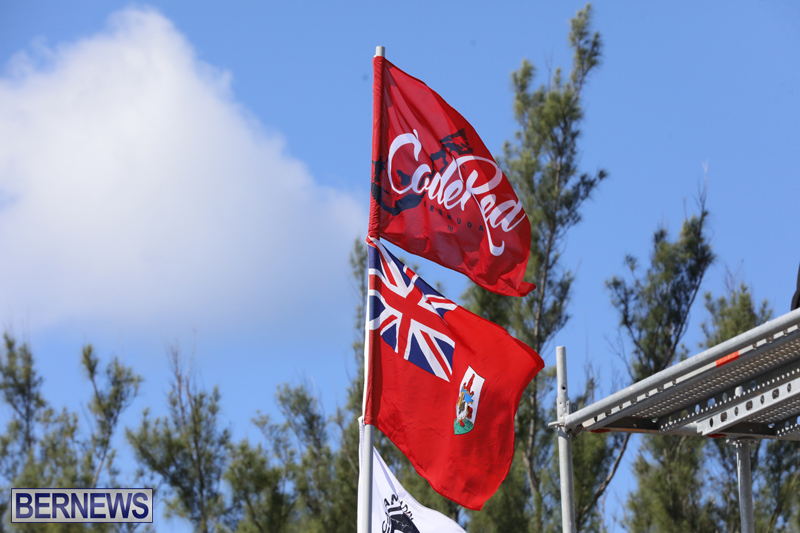 There may not have been any recognition for a BERMUDAIAN HERO, but respect OUR HERITAGE and OUR FLAG. Knowledge of correct flag protocol is about as widely known as the law that trash should be put out on the morning of collection day only .